Here’s where Colorado-based riders in the Larry H. Miller Tour of Utah stand after four stages. 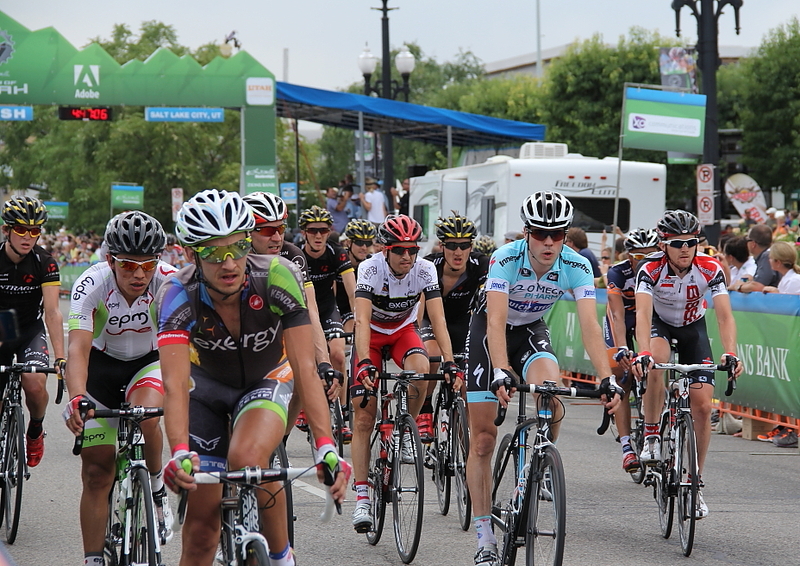 The riders face the pivotal Stages 5 and 6 this weekend. Ben Day, Taylor Sheldon, Ian Burnett, and Alex Howes have been riding support roles for their teams. Day helped teammate Jake Keough (UnitedHealthcare) win in the sprint finish today by riding at the front well before the race was over and at 2 km to the finish to bring back the break-away. Howes is a familiar sight leading the peloton up climbs with the same objective as Day’s — to shut-down break-aways and keep Garmin-Sharp’s leaders safe at the front of the the field of 119 riders. 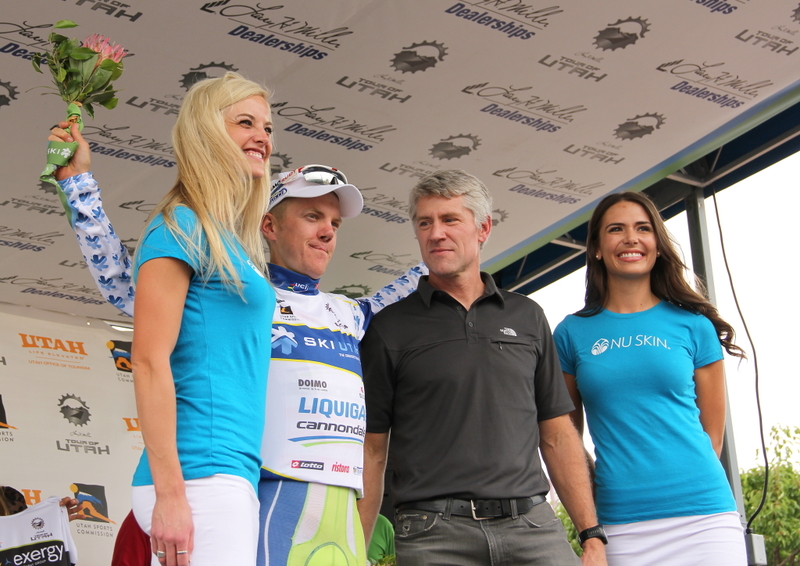 Julian Kyer rides for the first time with his new Bissell team in the Tour of Utah. His 13th place on GC wasn’t something he expected, he said today; at the same time it’s “not a massive surprise” because he’s been riding consistently well. He added that the finishes through Stage 3 hadn’t been too selective. 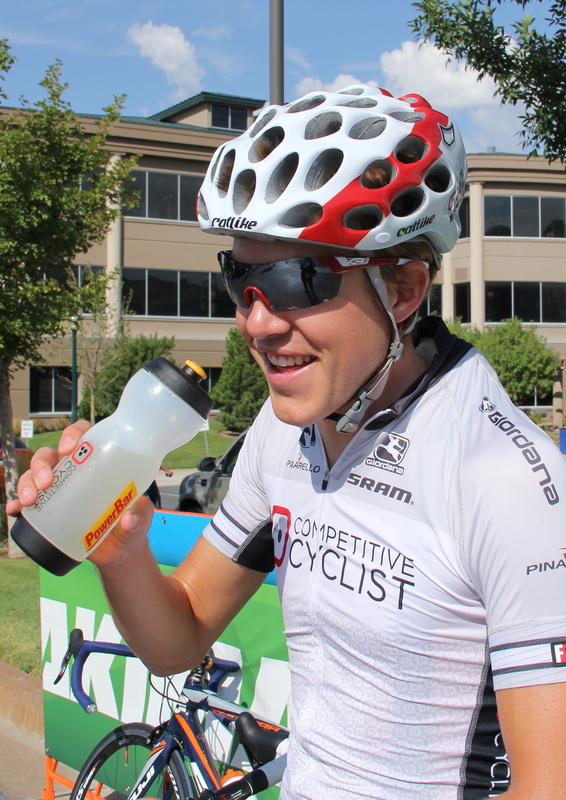 Craig Lewis lost time on Stages 1 to 3, but he rode powerfully in the break-away on Stage 4. The peloton caught the break-away 800 meters from the finish line; Lewis lost 47 seconds on Stage 4. 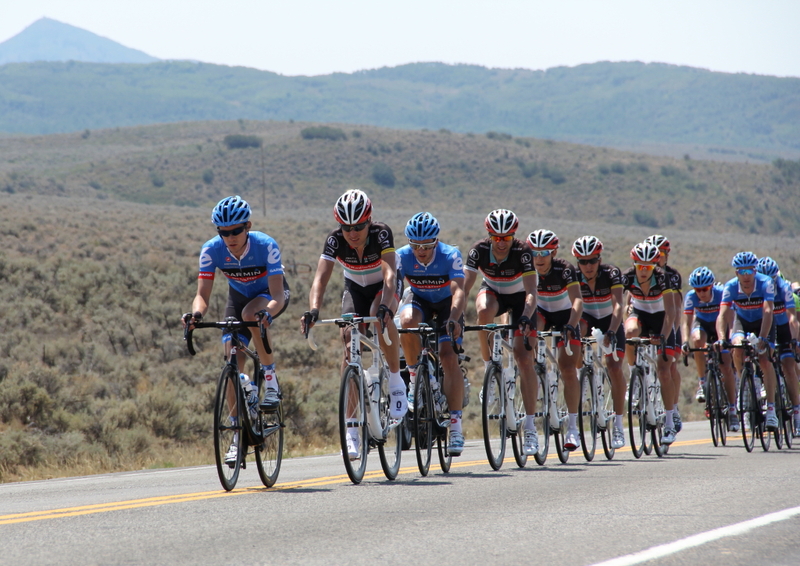 Tom Danielson sits in a position to win the overall in Utah. Chris Baldwin, Matt Cooke, and Lucas Euser are also enjoying good tours so far in Utah and could all move higher on GC and/or land on the final podium with epic rides this weekend. Euser mentioned today that he’s feeling really good. “I’ve been working hard for this,” he said. He credited his form to changing his training program over the last two months, together with Golden Eagle training camp in late July with Taylor Phinney and other Colorado riders. Euser called the Tour of Utah through Stage 3 “easy,” explaining that they rode race pace for 250 km in Golden Eagle camp (so named because of the Golden Eagle sighted early in the camp). 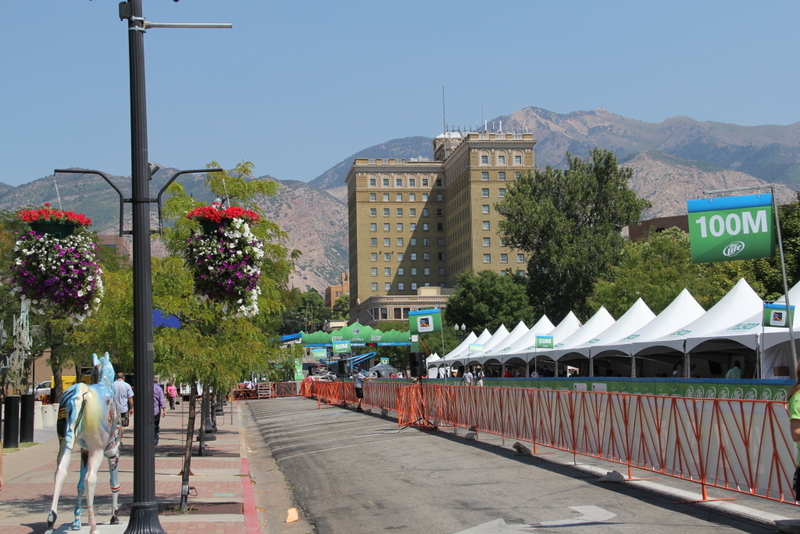 The longest stage in Utah, Stage 4, covers 216 km. Timmy Duggan heads into Stage 5 in the KOM jersey he picked up in Stage 3 after collecting points when he rode in the break-away. Stage 1 ended with a win for Rory Sutherland (UnitedHealthcare), who said he’s the back-up sprint man on the team if the sprinters can’t make it over the hills. In that role he’s “been trying to win one of these for six years.” It looks like he’ll have to start counting from zero again. 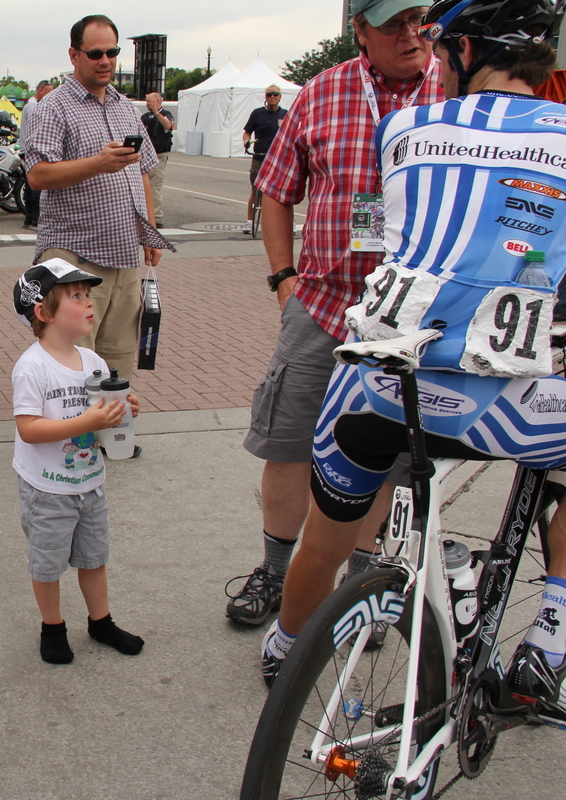 Rory Sutherland (UnitedHealthcare) greets a fan after Stage 4, Tour of Utah. “Where are your shoes?” Sutherland asked.